Today, when you order "Spider Web Deck", you'll instantly be emailed a Penguin Magic gift certificate. You can spend it on anything you like at Penguin, just like cash. Just complete your order as normal, and within seconds you'll get an email with your gift certificate. 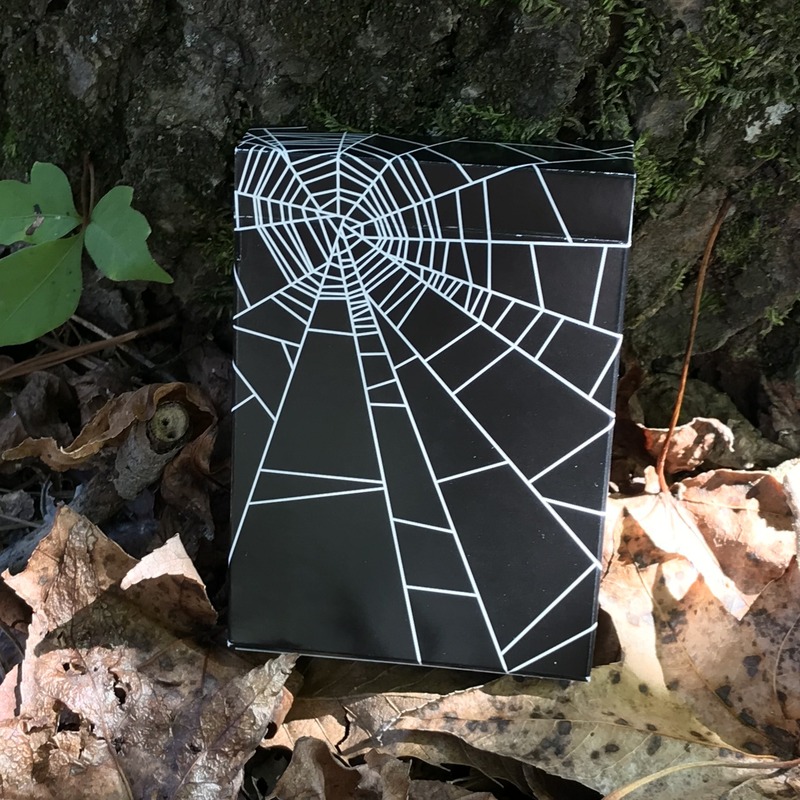 Spider Web Deck (Single Deck) A limited edition of only 1,000 decks. ONLY A FEW LEFT. GET THEM BEFORE THEY DISAPPEAR FOREVER. 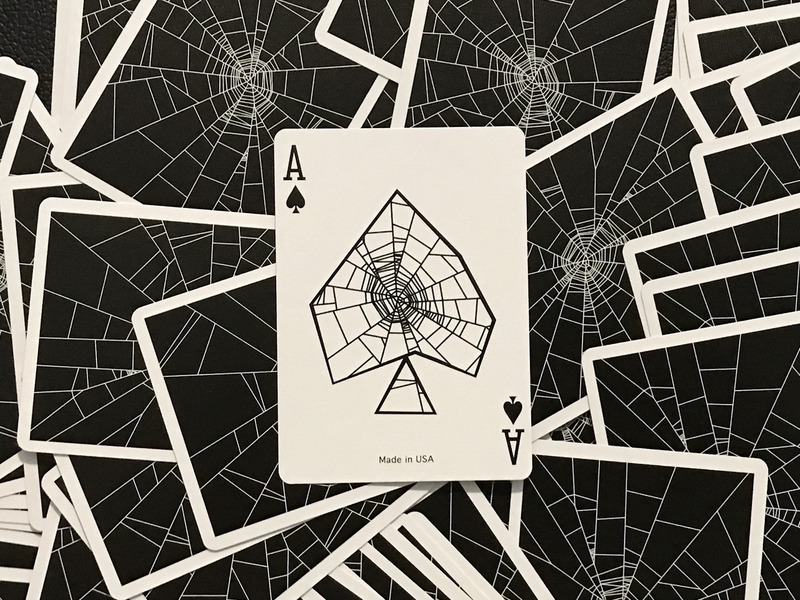 Perfect for Halloween, the Spider Web Deck gives a spooky yet elegant touch to your performances. 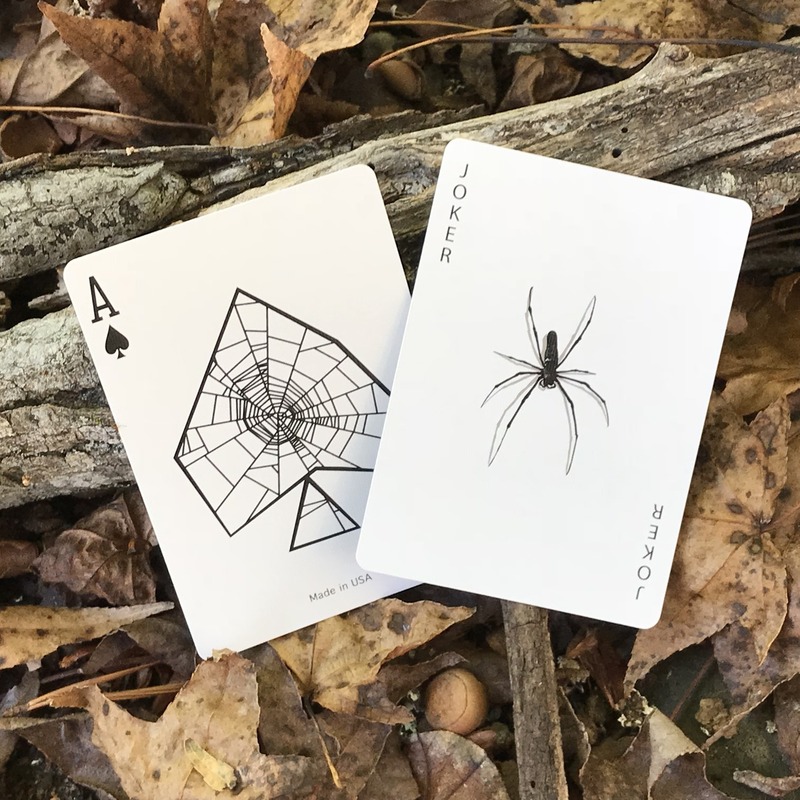 Designed around one of the world's most pervasive phobias, the Spider Web Deck from designer Ben Kolozsi brings subtlety to your scare. 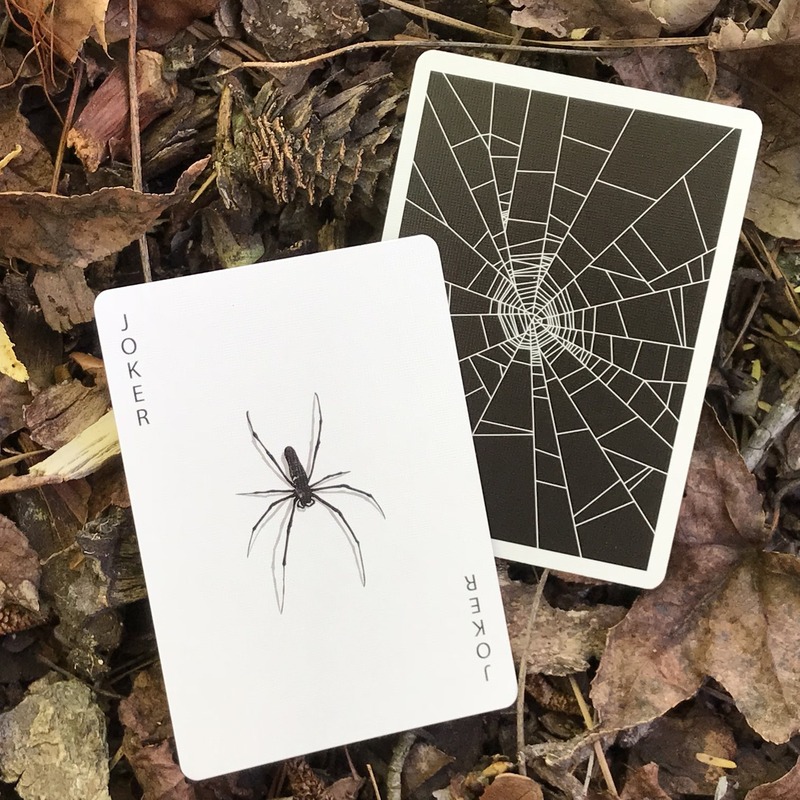 The custom tuck and back design feature an intricate web, while the Joker has a realistic depiction of a Spider. Special gaffed cards allow you to make the spider vanish from one card and reappear on another! 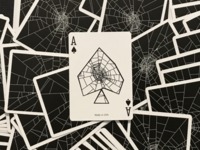 The deck also features a custom Ace of Spades and custom-colored court cards. Printed by the USPCC on Bicycle stock with Premium finish, this is one of our most limited decks ever, with only 1,000 made.